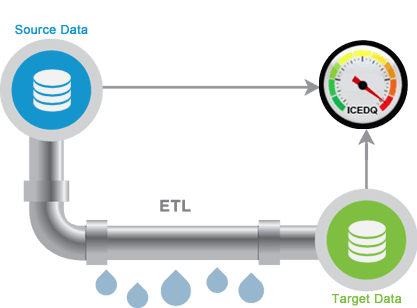 Development of a data warehouse, ETL, data migration or conversion always faces an ever-decreasing timeline. These implementations can take years to complete and users are not ready to wait that long. The waterfall development model has been discarded in favor of the agile or development model. However, this has changed only one component of the Data Development Life Cycle. This does not mean that the quality of these processes or the data they produce is of high quality. So what about Quality Assurance? While the developers have moved on to agile development, the QA team is stuck with the legacy approach and thus testers can’t cope with the speed that developers are delivering the ETL code. iCEDQ is a Rules Engine for testing ETL processes. It provides a way to capture the testing requirements or “Audit Rules” for each story in parallel to the data transformation requirements. iCEDQ has a specialized rules engine for data that allow the users to validate and reconcile data across systems. It has adapters to databases, files and big data that enable it to connect and compare the data in-memory to certify the data integration or migration processes are accurate. With iCEDQ in place, audit rules can be automated in the iCEDQ platform and linked to the specific requirements of the story.